PITTSBURGH, April 3, 2019 – In a first on the quest to cure HIV, University of Pittsburgh Graduate School of Public Health scientists report today in EBioMedicine that they’ve developed an all-in-one immunotherapy approach that not only kicks HIV out of hiding in the immune system, but also kills it. 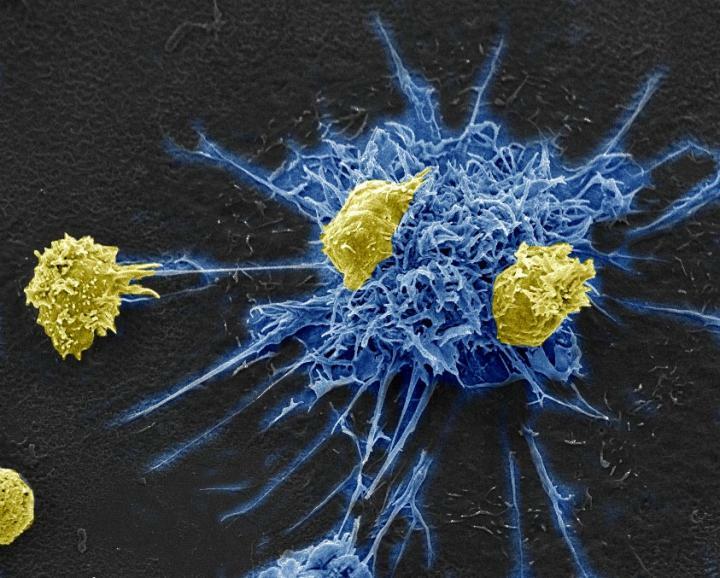 The key lies in immune cells designed to recognize an entirely different virus. Additional authors on this research are Mariana L. Palma, Ph.D., Tatiana M. Garcia-Bates, Ph.D., Chengli Shen, M.D., Ph.D., Nicolas Sluis-Cremer, Ph.D., and Phalguni Gupta, Ph.D., all of Pitt. To read this release online or share it, visit http://www.upmc.com/media/news/040319-kristoff-mailliard-mdc1.